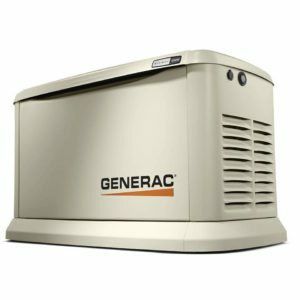 We know that trying to find best Generac Authorized Sales & Service Dealer in Lincroft, NJ can be one of the most challenging parts of the Generac generator installation process. Hopefully, you can stop searching now! Locally owned and operated, Green Sun Energy Services is protecting Shawn & Deborah, along with hundreds of other homeowners from unexpected power outages. Together we can help find the right Generac home backup solution for you and your family. This installation features a Generac Guardian™ 16kW Aluminum Standby Generator System (200A Service Disconnect + AC Shedding) (Model # 7037), Generac Smart Management Module (SMM), Group 26-R (525cc) 12 Volt Start Battery, Bisque Fascia Base Trim Kit, DiversiTech Concrete GenPad (54" x 31" x 3" 189 LBS). This package is covered with a 5-Year Limited Warranty from Generac and a 5-Year Limited Workmanship Warranty from Green Sun Energy Service, LLC. 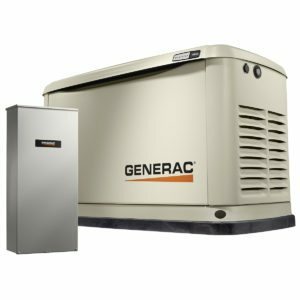 As a Generac authorized service provider, our PowerBase Service Plans provide affordable scheduled maintenance, Generac generator maintenance services, and extended warranty plans for 8 to 22 kW air cooled Generac, Centurian, and Honeywell generators.